Sand Wash Basin is the home to one of the few remaining herds of free-roaming wild mustangs in the United States. It is also a destination for 4-wheeler and dirt bike enthusiasts. Sand Wash Basin is located 45 miles west of Craig. Drive west on U.S. Highway 40 past the town of Maybell. Turn north on Colorado Highway 318 and drive approximately 15 miles. Turn right on CR75 to enter the Basin. The Sand Wash Herd Management Area (HMA) is managed by the Bureau of Land Management and includes 154,940 acres of public land, 1,960 acres of private land, and 840 acres of state school section lands, for a total of 157,730 acres. Sand Wash Basin is surrounded by ridges and mesas. 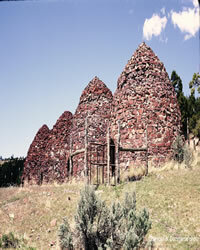 Vegetation types within the HMA include sagebrush/bunchgrass, saltbush, and pinyon-juniper woodlands. 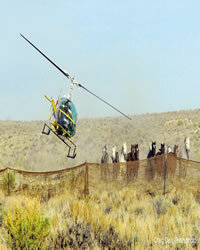 The boundary of the HMA is fenced, except along State Highway 318, generally preventing wild horses from entering or leaving the HMA. There are no fences within the HMA, allowing horses to roam freely within the confines of the basin. The horses within the HMA exhibit many different colors. Among the most common are grey and sorrel, although most colors and color patterns can be found, including buckskins, duns and paint. Genetic analysis indicates the highest similarity for the herd was to the Iberian derived Spanish breeds, followed by Gaited breeds, North American breeds and Arabian breeds. The original population of horses with the HMA in 1971 was 65 head. The managed population range recommended is 163 to 363 horses. The existing horse population has been managed to the most current of these numbers through horse gathers in 1989, 1995, 1998, 2001 and 2005. The herd had a population high of 455 head in 1998. The most recent aerial census conducted in May of 2007 showed a population of 281 adults and 34 foals for a total population of 315 head. Sandwash Basin is a popular destination for OHV enthusiasts. There are currently no riding restrictions in the area, though the Bureau of Land Management is in the process of evaluating the use. Riders are asked to not harass with wild horses. 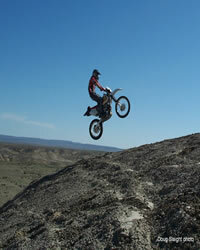 Riding areas include dual sport, hill climbs, one-way and single-track trails. The terrain is flat, hard packed and considered intermediate. There are woods and stream crossing and some muddy and sandy areas. Camping is allowed and there are no fees, but it is primitive, visitors are limited to 14 days and the area is about an hour away from a hospital and 30 minutes from gasoline and basic supplies.